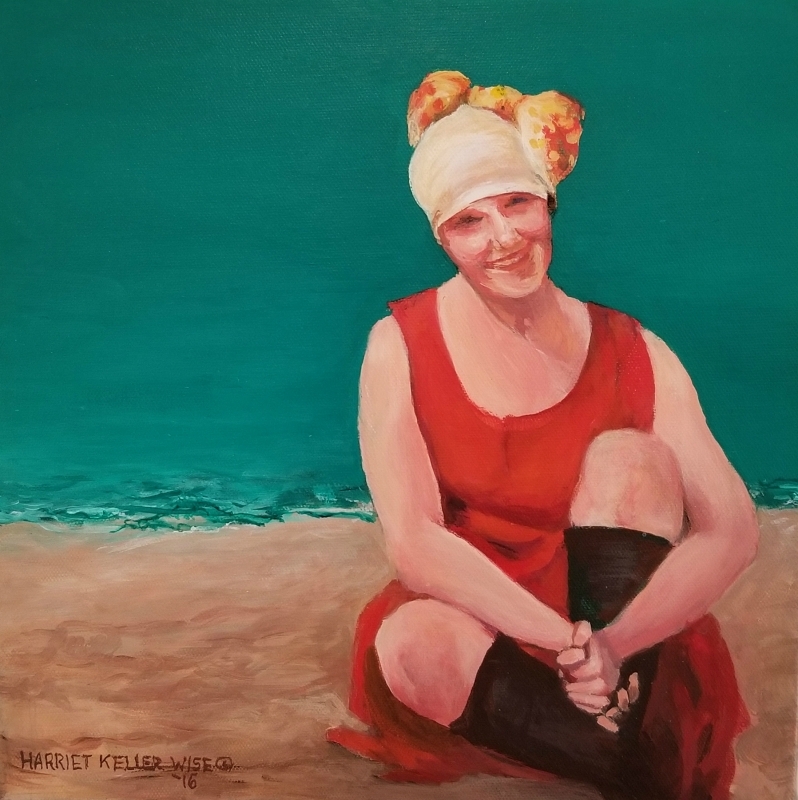 "Wilma on the Beach," by Harriet Wise, features the artist's mother at Lake Erie in the 1920s. 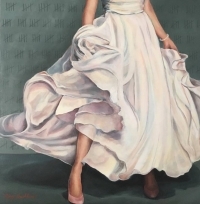 In "Revelry," artist Mary Burkhardt uses flowing fabric to signal the essence of movement. 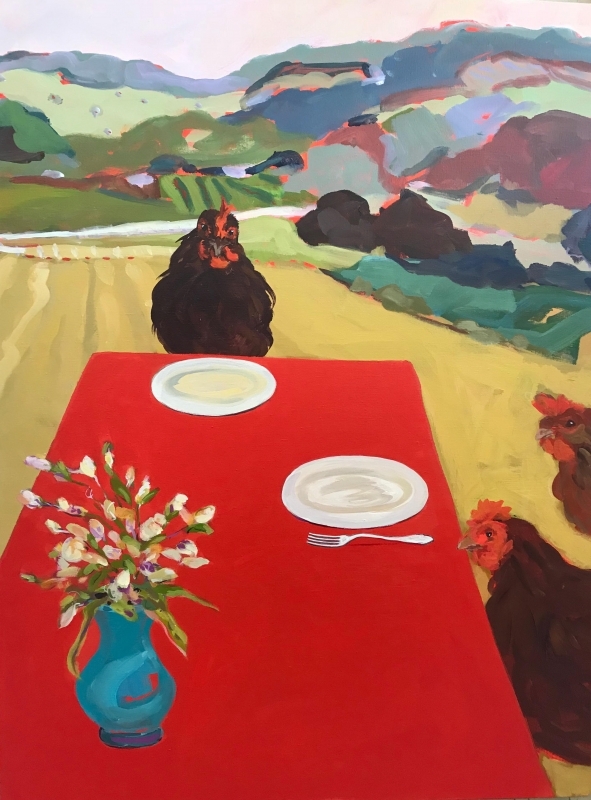 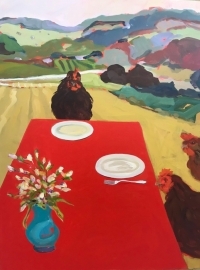 "Chicken Dinner" shows artist Susanne Dotson's sense of sly humor.